Small Business Administration Arkansas District Director Edward Haddock (left) stands with World Trade Center Arkansas President and CEO Dan Hendrix (right) after the signing of the Strategic Alliance Memorandum on Wednesday, October 10, 2018. The World Trade Center Arkansas and the U.S. Small Business Administration (SBA) officially formed a strategic alliance this week to improve small business opportunities in Arkansas and strengthen and expand small business development throughout the state. The alliance was publicly recognized with a ceremony and signing of a Strategic Alliance Memorandum (SAM) on Wednesday, October 10, 2018 at the World Trade Center in Rogers. The SAM is a collaboration between the SBA and the World Trade Center Arkansas to connect small business concerns to SBA programs designed to generate business expansion and job creation within the state of Arkansas. The SAM signing follows a $150,000 State Trade Expansion Program (STEP) grant award to the World Trade Center Arkansas from the Small Business Administration in Washington, D.C. The World Trade Center Arkansas will use the grant funds to help increase the number of eligible small business concerns that are exporting from the state and to increase the value of current Arkansas small business exports. 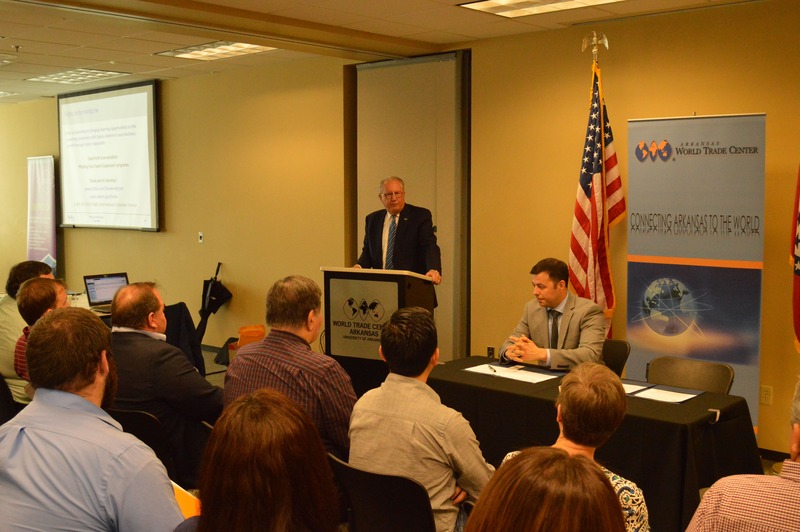 Dan Hendrix addresses a gathering of Arkansas small business concerns and other members of the international business community at the signing of the Strategic Alliance Memorandum. Small business concerns make up nearly 80 percent of all exporting companies in Arkansas and are a key component of the state’s economy. 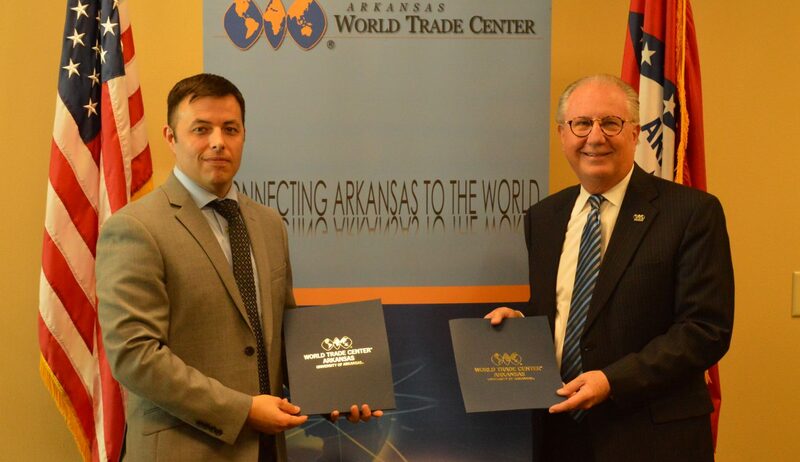 The mission of the World Trade Center Arkansas is to grow trade and increase Arkansas exports by connecting Arkansas businesses to the world through international trade services. The Center is part of the University of Arkansas and serves as the trade promotion arm for the Arkansas Economic Development Commission. For more information and valuable updates, please follow the Center on Facebook and Twitter or subscribe to the World Trade Center Arkansas newsletter. About the U.S. Small Business Administration: The U.S. Small Business Administration makes the American dream of business ownership a reality. As the only go-to resource and voice for small businesses backed by the strength of the federal government, the SBA empowers entrepreneurs and small business owners with the resources and support they need to start and grow their businesses. It delivers services to people through an extensive network of SBA field offices and partnerships with public and private organizations. To learn more, visit www.sba.gov. About the SBA Arkansas District Office: The SBA Arkansas District serves Arkansas with locations in Little Rock and Northwest Arkansas. Visit www.sba.gov/ar or follow @SBA_Arkansas for more information including resource partners, lenders, workshops, success stories and other resources to help small businesses start, grow and succeed.